At least 30 civilians were killed over the past 24 hours in Syria's northern city of Raqqa in the intensified US-led airstrikes on the Islamic State (IS) positions, a monitor group said Tuesday. Nine women and 14 children were among those killed in the airstrikes on Raqqa, said the [so-called] "Syrian Observatory for Human Rights" (SOHR), a Britain-based watchdog group. 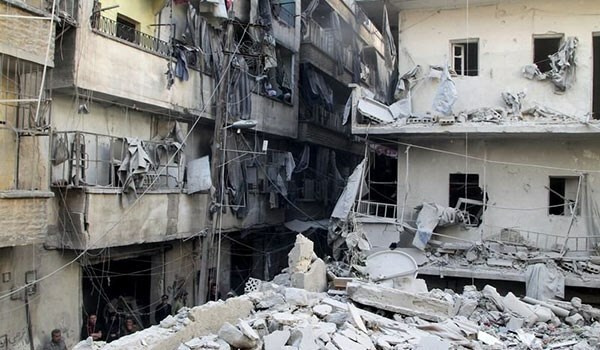 The death toll is likely to rise due to the large numbers of critically injured people, SOHR said. The attack is the latest in a series of airstrikes by the US-led coalition. The coalition has intensified airstrikes recently when targeting the positions of the IS group in its main stronghold in Raqqa, resulting in the killing of tens of civilians this week. According to local Sham FM radio, the US-led coalition had used white phosphorus in the attacks. The United States has been heavily backing the Kurdish-led Syrian Democratic Forces (SDF) in their push to capture Raqqa from the IS, enabling the SDF to capture 55 percent of Raqqa city following a two-month battle. 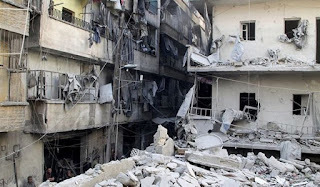 However, the killing of civilians on a daily basis pushed the Syrian government to condemn the US-led coalition's "crimes" in Raqqa and urge the United Nations to dissolve the coalition. While the SDF is advancing inside Raqqa, the Syrian army and tribal forces are advancing against the extremists in the countryside, coming close to the last IS-held town in the eastern Raqqa countryside. The army forces and allied troops have already reclaimed the western and southern countryside of Raqqa.